Taylor Wiseman & Taylor performed preliminary and final design for the improvements to this severely skewed signalized intersection in Burlington County. All roadway approaches were widened to provide center left-turn lanes and bicycle-compatible shoulders. Due to the skew of the intersection, separate signal phasing was required for the Evesboro-Medford Road approaches. TWT performed survey base mapping, including wetlands delineation, re-establishment of baseline and right-of-way, deed mosaic of adjacent properties, horizontal/vertical geometrics, drainage and basin design, grading, right-of-way plans/agreements, wetlands permit plans, access plans, traffic signal design utilizing highway capacity software, electrical design, and quantity/cost estimates. TWT also provided the investigation of milling/resurfacing versus full depth reconstruction in existing paved areas. TWT made presentations at meetings with Township, County, NJDOT, New Jersey Department of Environmental Protection and Pinelands Commission Officials. TWT prepared application for and obtained Pinelands Development and NJDEP Individual Freshwater Wetlands (IP) Permits. The IP mitigation was secured by an extensive and successful wetlands enhancement performed on an undeveloped parcel adjacent to the right-of-way of Route 70. Extensive stormwater management design for quantity, quality and ground water recharge was performed, including design of a multi-stage and purpose basin within the existing right-of-way of Route 70. 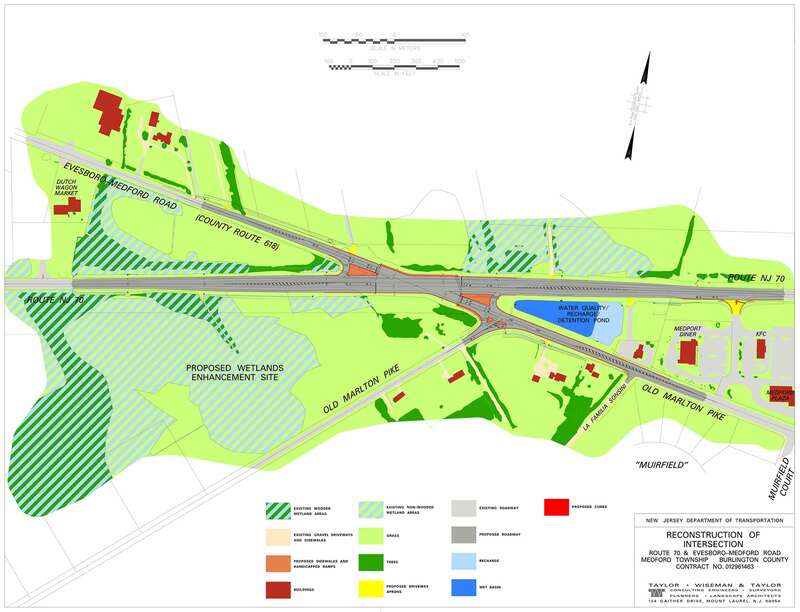 Traffic control scheme included offset temporary signalized intersection design/analyses with multiple time schemes. Signal analyses and modeling was performed using Scynchro and SimTraffic software. 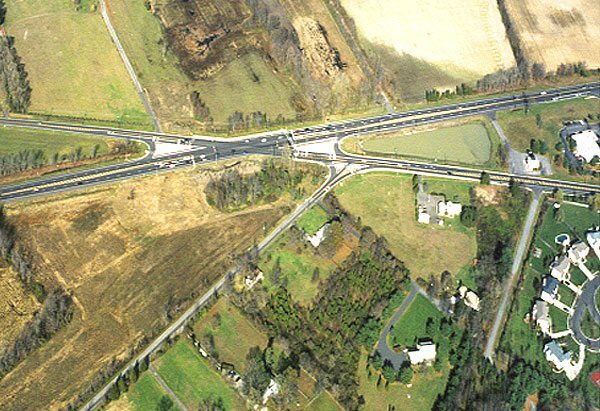 All services were performed in accordance with NJDOT Procedures and Roadway Design Manuals, as well as NJDOT Standards and Specifications. The project has been completed through construction.